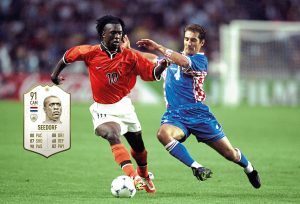 FUT fans have been asking for Holland’s greatest ever player to be in FIFA for ages and this year they’ll finally get their wish! 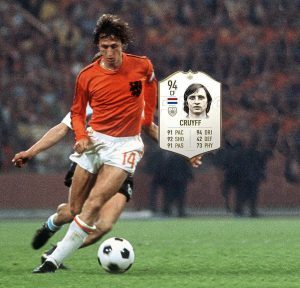 Cruyff was basically the perfect player, so he’s gonna have tons of top-quality stats – especially dribbling! 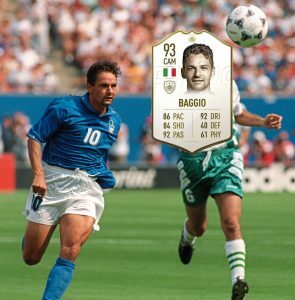 We’re absolutely buzzing to check out Baggio’s card in FIFA 19! The Italy legend was the perfect No.10, with mazy dribbling, an eye for a pass and quality finishing – plus his free-kicks were really lethal too! 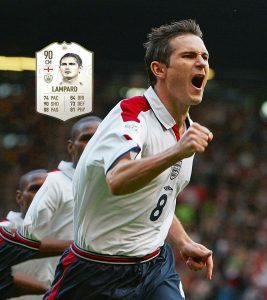 This card matches Lampard’s best ever rating from FIFA 05 when he was one of the most highly-rated stars in the world! No midfielder has scored more Prem goals than the awesome Chelsea legend, so he should have some top shooting stats! 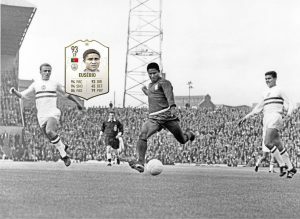 Eusebio is one of the real icons of Portuguese footy. 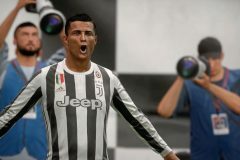 The super powerful striker rattled in tons of net-busters in his ace career and it looks like he’ll be just as deadly on FIFA 19, with 94 for shooting and pace, plus 93 for dribbling. They’re worldy stats! 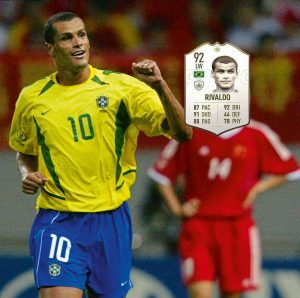 Rivaldo teamed up with Ronaldo and Ronaldinho to form an epic attack for Brazil at the 2002 World Cup, and that’s why he’ll have a 92 card in FIFA 19. He had an incredible left foot, so should pack some jaw-dropping shot power! 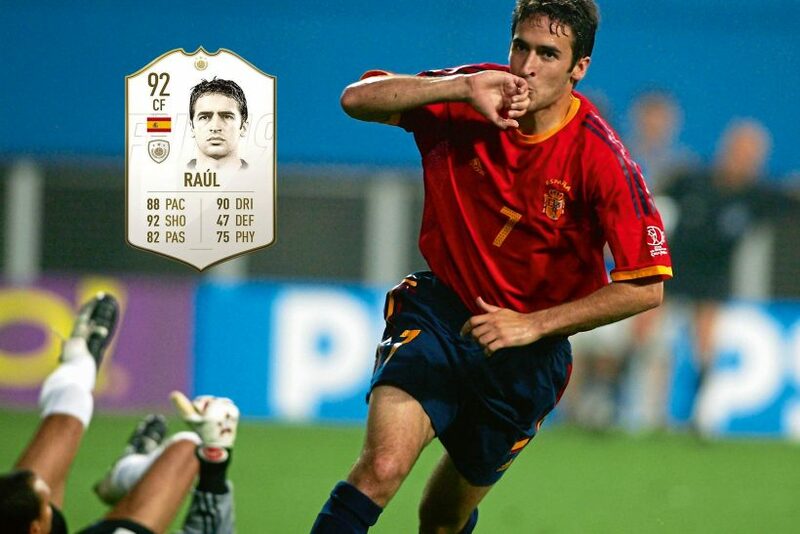 Raul played 741 times for Real Madrid, more than any player, and only Cristiano Ronaldo’s scored more goals for the La Liga giants! His goalscoring instincts were insane, so his positioning and reactions stats should be near the 100 mark! 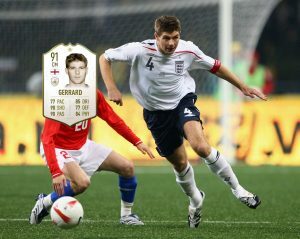 EA have weighed in on the Gerrard v Lampard debate by giving the Liverpool legend a higher rating, and they’ve also revealed his other two cards will have 86 and 89 ratings. His passing and shooting stats look absolutely quality! 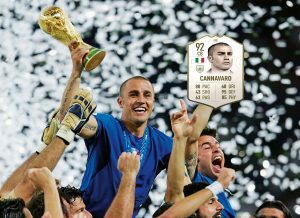 Italy ace Cannavaro was a Legend on FIFA 17, and he’s back this time as an Icon. If the defender has similar stats, the 2006 WC-winning captain will have top-class figures for marking, tackling and reactions, plus a decent turn of pace! Seedorf could be one of the most-wanted players on FUT when FIFA 19 comes out. His passing and dribbling skills were out of this world, but he combined them with bags of energy and top strength! He’s the perfect midfielder! 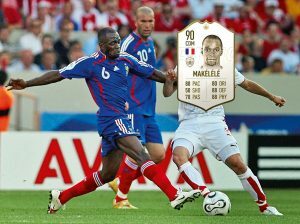 If you like playing with a DM in your team, then you’ll defo want to get Makelele. The ex-Chelsea man was one of the best ever holding midfielders – his strength, tackling and interceptions should be well up into the 90s. Ledge!